Is It A Good Idea For Justin Rose To Leave TaylorMade For Honma? Is It A Good Idea For Justin Rose To Leave TaylorMade After 20 Years To Join Honma? 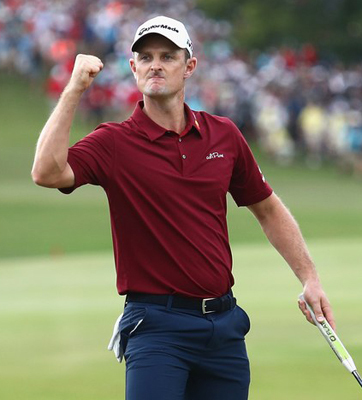 Justin Rose is the current #1 golfer in the world and has posted one of the better professional performance streaks. Justin Rose. Since August 2017. Which makes it all the more surprising to read reports he’s decided to leave TaylorMade after two decades for Japanese club maker Honma. The current climate is for players to work out deals for apparel and have the freedom to use whatever equipment they wish. Three of the four current major winners are equipment free agents. Thus, is it a good idea for Rose to chase the money? I’m believe history shows it is not. It didn’t work out for Rory McIlroy initially when switching to Nike. Even Tiger Woods agreed to his big Nike deal back in the day only if he could gradually add those clubs and didn’t have to make a wholesale change. Brooks Koepka, Patrick Reed and Tony Finau are playing a mixed bag to great success. So what gives with Rose who’s the reigning FedEx Cup champ, Olympic gold medalist along with being #1 ranked? Need more proof? Check out the guys who went from the haves to have nots after switching sticks for more $,$$$,$$$. Via Jaime Diaz. It’s not as crazy as it appears. Ex-TaylorMade CEO Mark King is rumored to lead Honma in North America and several key TM employees now work for Honma. Thus, maybe outside of the branding, the clubs’ design are very similar to the TM line Rose used to great success. I’m guessing Rose will get a piece of Honma as well. GolfWorld’s equipment guru Mike Statchura has the details. In his new position with Honma, King has brought with him several former top TaylorMade employees, including Jeff Letorneau as chief operating officer, as well as bringing in former TaylorMade executive vice president John Kawaja as a consultant. Tom Cismoski, who spent nearly 24 years at TaylorMade, is Honma’s senior vice president of sales in North America. Rose would become the second top European player and long-time TaylorMade staffer to walk away from the company in as many years, following Sergio Garcia’s departure to Callaway at the start of this year. Honma, famous for its gold-plated clubs, artisan-style craftsmanship and five-figure price tags, has redoubled its efforts to become a major player in the golf business both globally and specifically in North America after having been purchased by Chinese businessman Liu Jianguo. Originally established in 1959 in Sakata, Japan, Honma languished in the early 2000s before being purchased by a fund run by Liu, a Chinese businessman whose company makes hair dryers and rice cookers. An avid golfer, Liu changed Honma’s business model in Asia and its sales have increased the last four years in a row to nearly $250 million. Honma now is listed on the Hong Kong stock exchange after a 2016 initial public offering. It also is the title sponsor of the Hong Kong Open. Still undetermined is what ball Rose will use since Honma doesn’t currently have one. As with everything, time will tell if this is a good move. But there’s only one direction to go when you’re at the top so we’ll see. Share: Is It A Good Idea For Justin Rose To Leave TaylorMade After 20 Years To Join Honma? You are here: The Blog / Is It A Good Idea For Justin Rose To Leave TaylorMade After 20 Years To Join Honma?